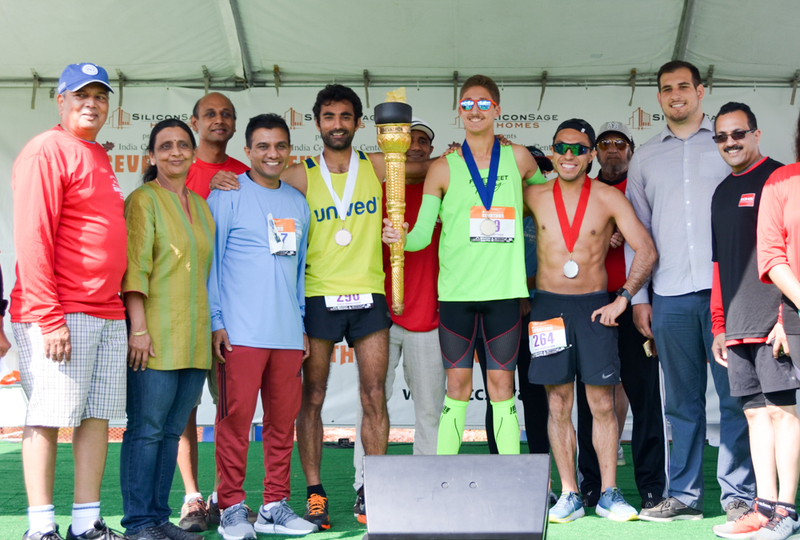 The 10th Annual Sevathon, an initiative of the Milpitas-based India Community Center (ICC), brought together nonprofits to raise funds and awareness for their causes. 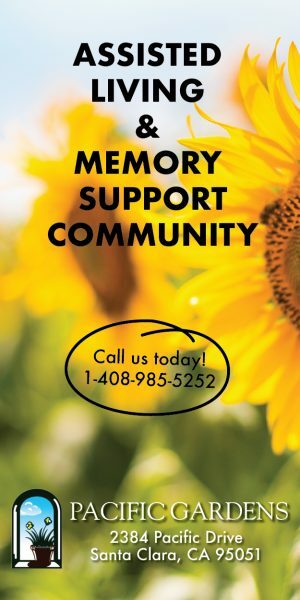 Over $500,000 was raised from sponsorship and registrations, of which $250,000 was raised by the approximately 85 nonprofits that participated. “Seva” is a Sanskrit word meaning “service.” Sevathon took place on Sunday, Aug. 19 at Arena Green East in San Jose. For more information on Sevathon, visit their website: iccsevathon.org and for more information on the ICC, visit their website: www.indiacc.org. Here, the winners of the Men’s Half Marathon pose with several sponsors. 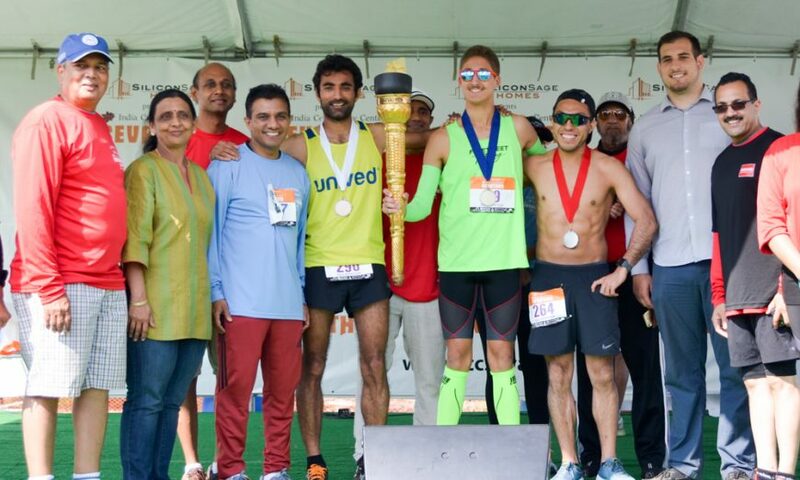 Standing on top of the podium holding the torch is the winner of the Men’s Half Marathon, John Kretschmann (#99). On his left is 2nd place finisher, Jordan Reyes (#290), and on his right is 3rd place finisher Ajit Narwal (#290).